• the impact of mediation on legal rights and remedies. While the book draws on examples from around the world, six primary jurisdictions (the United States, Australia, England, France, Germany, and Austria) are selected for several reasons, including comparison of legal traditions, significant volume of mediation-related case law, and the existence of mediation-related legislation and implementation requirements. Cross-border legal instruments examined include the European Directive on Mediation, UNCITRAL’s Model Law on International Commercial Conciliation (MLICC), and the Uniform Mediation Act (UMA) in the United States. In the 21st century mediation is at the forefront of contemporary social and legal development and is finding a place in both physical dispute resolution forums and worldwide electronic-based communities. International and Comparative Mediation, with its deeply informed insights into emerging international trends and the diversity of mediation regulation applicable to international disputes, shows conflict management practitioners how to create a forum culturally acceptable to each specific group of participants, with a view to agreeing on appropriate norms for the regulation of future relationships. It will be welcomed by lawyers working in a wide range of cross-border practice. 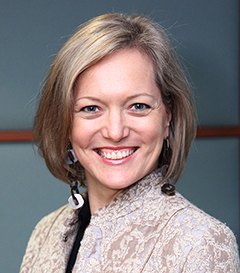 Professor Nadja Alexander holds appointments at City University Hong Kong, Murdoch University in Australia and University of the Witwatersrand in South Africa. Her books on dispute resolution have been published internationally and her work has appeared in English, German and Russian language versions. 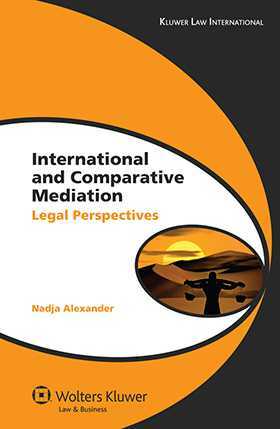 1. International and Comparative Mediation: Definitions and Developments. 2. Law in the Mediation Equation. 3. Pre-mediation I: Selection and Referral. 4. Pre-mediation II: Mediation Clauses and Agreements to Arbitrate. 5. Conduct of Mediators and Participants. 8. UNCITRAL and International Mediation. 9. The UNCITRAL Model Law on Conciliation. 10. Appendix A: Model Clauses and Agreements. 11. Appendix B: Comparative Table of International Mediation Rules. 12. Appendix C: Comparative Table of Laws Adopting the UNCITRAL Model Law on International Commercial Conciliation.